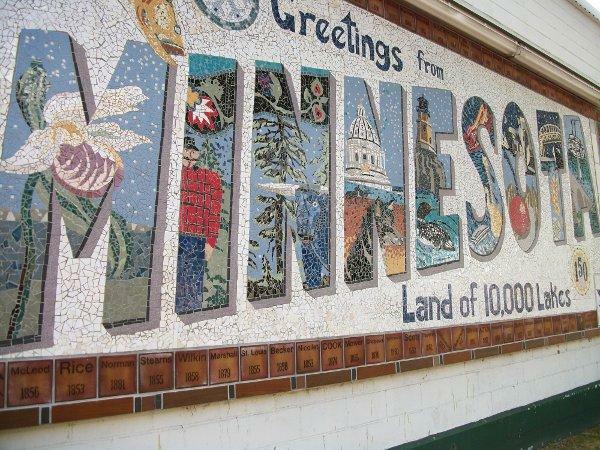 The Minnesota State Fair opens today. Scores of visitors, including me, will flock to see animals, listen to music, admire crafts, and, perhaps most famously, eat food, much of it on a stick. Since State Fair visits are an annual treat, I give myself leeway for things like draft root beer, sugared mini donuts and fried cheese curds not normally on my menu. This doesn't mean that I eat huge amounts of whatever I encounter at the fair. Moderation at the fair is different from moderation every day, but it's still possible. If there's a choice of sizes, I always order the small, and share it to have money and stomach space for more throughout the day. I can sample lots of different foods, some healthful, many not. Sharing is one of the benefits of going with friends and family. Take breaks from the food, too. Visit the Creative Arts building and the animal barns to escape the constant onslaught of edibles, and to see how local food is raised and used; the Eco Experience building has a variety of interactive displays on how to lessen our impact on the Earth. In "A Simple, Good and Tasty Guide to the Fair," Lawrence has more about these great fair displays, as well as several more. Here are a few better-for-you foods at the State Fair to balance out some of the more indulgent food choices. Check out the Fair Food Finder for more options. 2. Milk from the Dairy Goodness Bar or at the All-You-Can-Drink stand. 3. Frozen fruit on a stick at Veggie Pie in the Food building. 4. Pickle on a stick, at Preferred Pickle or Pickle Dog. 6. Whole fruit from the Produce Exchange. 7. Frozen cider pops at MN Apples. What are your favorite fair foods, healthful or otherwise? Help us to understand how you eat at the fair. Kristin Boldon is a frequent contributor for Simple Good and Tasty, who also writes for the Eastside Food Cooperative's newsletter on health and wellness, Minnesota Monthly's food blog Dara & Co., and for her own blog Girl Detective. Her last post for us was "Your CSA Box: A Cool Potato Salad with Pickles."